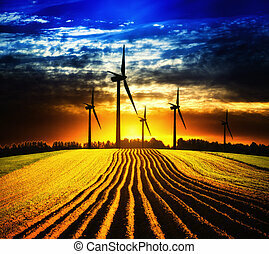 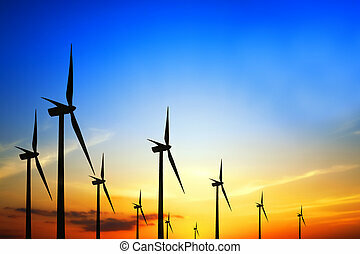 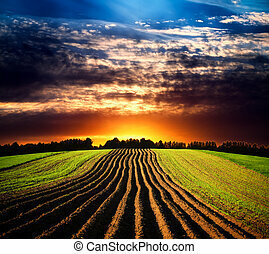 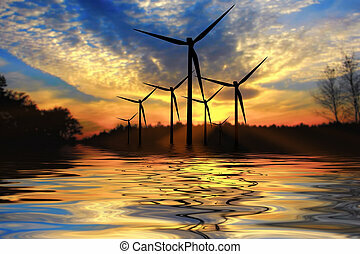 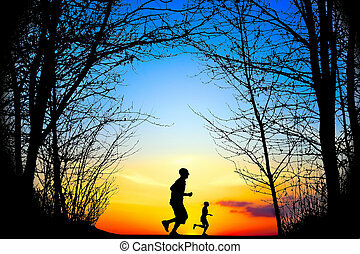 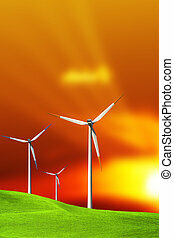 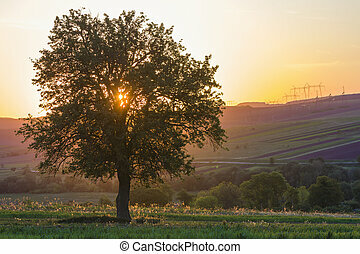 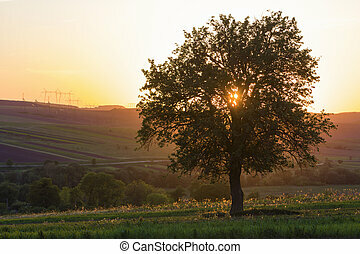 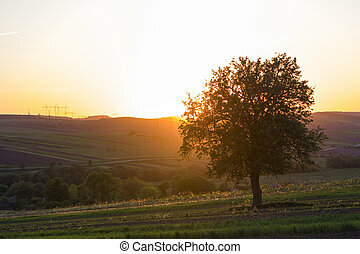 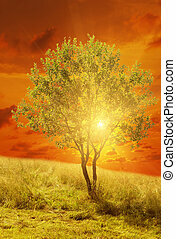 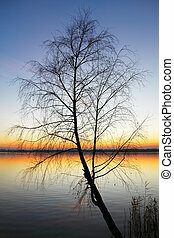 Quiet and peaceful view of beautiful big green tree at sunset growing alone in spring field on distant hills bathed in orange evening sunlight and high voltage lines stretching to horizon background. 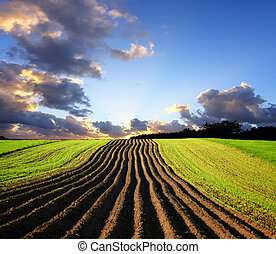 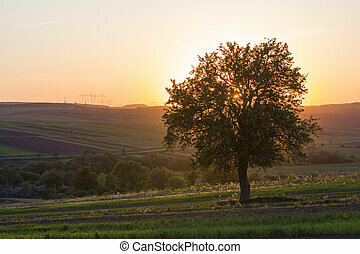 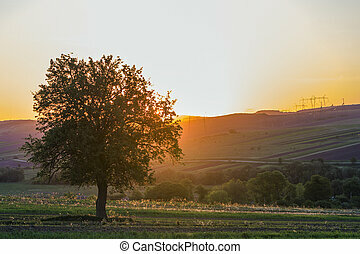 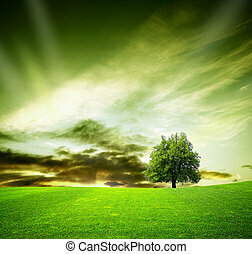 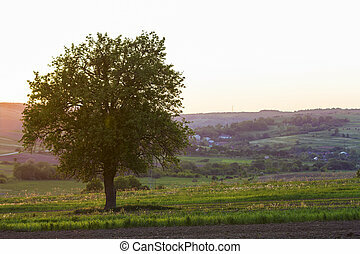 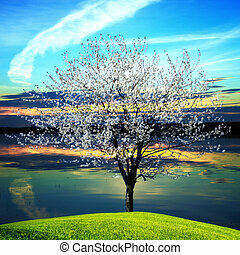 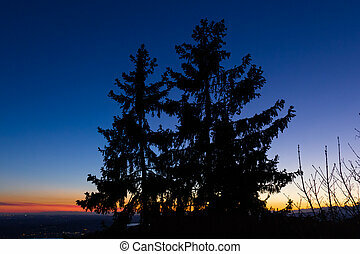 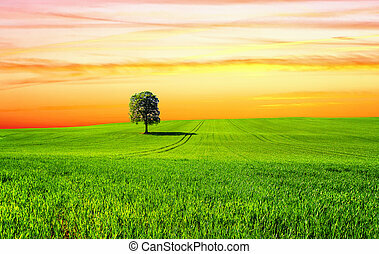 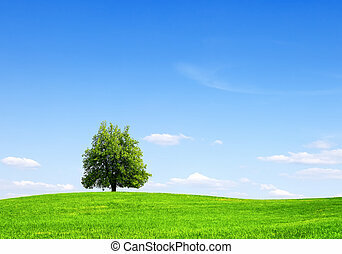 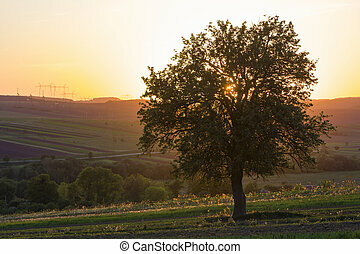 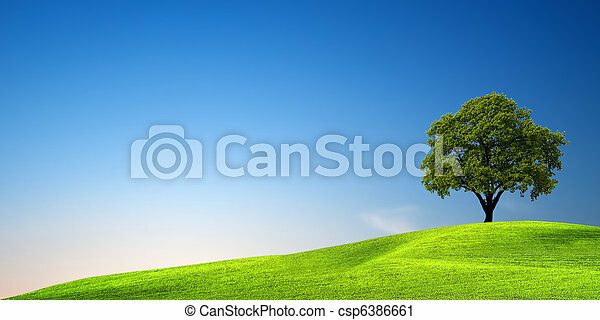 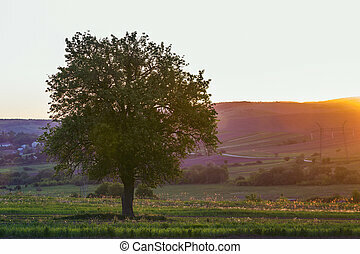 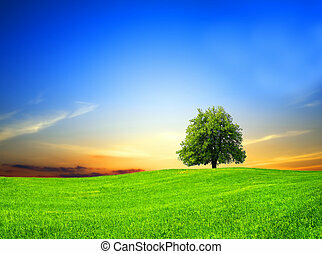 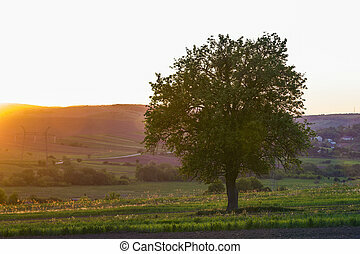 Quiet and peaceful view of beautiful big green tree at sunset growing alone in spring field on distant small village between green gardens and hills background. 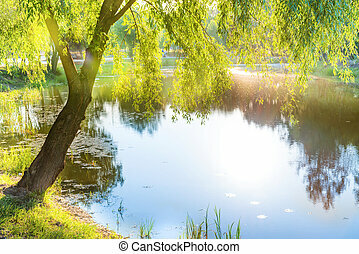 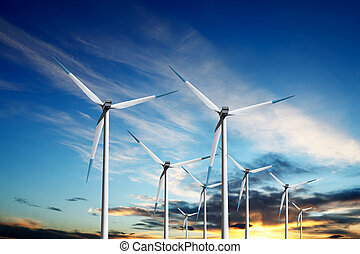 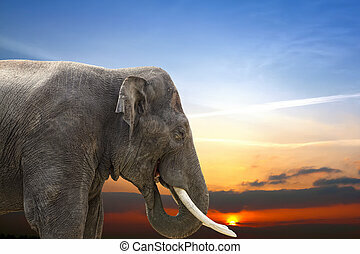 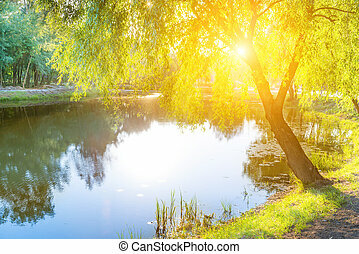 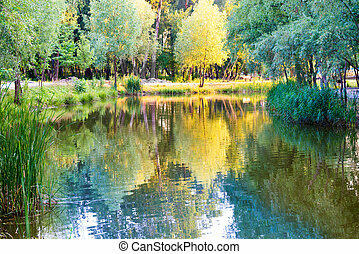 Beauty and harmony of nature concept.